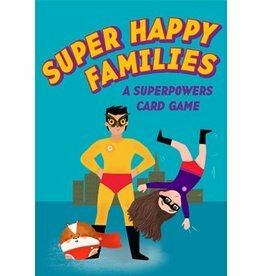 Collect illustrated cards of 44 super-powered goodies and baddies and place them into superfamily groups. Whoever gets the most groups first wins. Based on Happy Families, this game is fun for kids and families.